The Conservative government has made the wrong decision here, not for the interest of the country but to appease the hard-line leadership of Israel which is eager to wage a war against Iran. Canada, a country that was respected around the world as a peace broker, has failed its citizens and the world for taking an unwise decision that would help no one in the long run except the warmongers. I was not expecting to have the Prime Minister of Canada losing his cool, acting irrational and taking sides of the ongoing rift between Israel and Iran. That's what happened in his decision to shut down Canada's embassy in Iran. Neither Harper nor the Foreign Affairs Minister Mr. Baird was able to explain to Canadians about the real motive behind their drastic move. NDP Foreign Affairs critic Paul Dewar has taken issue with the unexpected announcement. "For us to make a difference, we have to be there. We have to show up, and now we're walking away," Dewar told CTV News earlier this weekend. Interim Liberal Leader Bob Rae also frowned on the move, arguing that differences of opinion cannot be the only reason to sever lines of political communication. "The simple fact is we don't cut off diplomatic relations with every country we disagree with," he told CTV News. In spite of the Prime Minister's attempt to explain his government's move by saying that it is because of Iran's support of the Syrian dictator, its nuclear proliferation program and its stand against Israel, it is crystal clear that the real motive was due to the last reason. Tony Burman, the former head of English Aljazeerawrote in the Toronto Star "although his swearing-in at Rideau Hall must have happened in the dead of night, Canada appears to have a new foreign minister. His name is Benjamin Netanyahu. 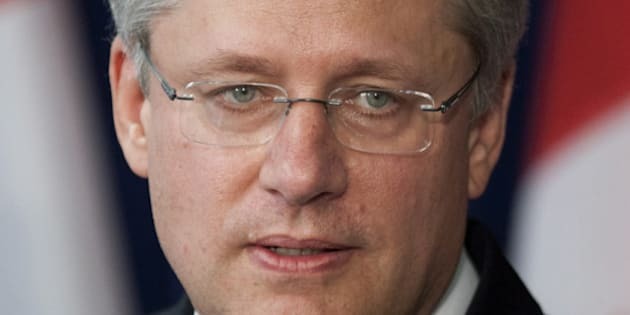 His day job may be Prime Minister of Israel, but Canada's abrupt actions against Iran seem to confirm that the Harper government's outsourcing of Canada's Middle East policy to Jerusalem is now complete." In all fairness, Iran didn't pose any direct threat to the security of the country, nor did it violate the laws of the land. I feel that history is repeating itself when the tension was built to justify the invasion of Iraq including even lies to justify the war that is still creating death and destruction to this date. According to the Daily Mail, Colin Powell, the former US Secretary of State was lied to and "manipulated" into supporting the invasion of Iraq. He was deliberately not told that information he used to make his famous speech justifying the war was bogus according to the Powell's former chief of staff, Mr. Lawrence Wilkerson. He spoke out after the main source for Powell's report justifying the Iraq invasion, which he presented to the UN Security Council in February 2003, admitted he made the whole thing up. What the world had witnessed from the distraction of Iraq, the mayhem the country is witnessing, terrorism which the invasion had created should be sufficient enough to make world leaders think twice before repeating the same scenario again. Canada, a country that was respected around the world as a peace broker, has failed its citizens and the world for taking an unwise decision that would help no one in the long run except the warmongers who view war as a business opportunity where they can make money. As Burman wrote, there is little else to conclude from Canada's unwise decision to move unilaterally on Iran at this moment. All sorts of crucial issues are in play with Iran. They involve the future of its nuclear program, the impatience of Israel's leadership to attack Iran, the shape of a new Middle East as the heinous Syrian regime implodes and several delicate life-and-death issues involving Canadians on death row in Iran. Surprisingly, Western nations have held together on how to approach these key challenges -- except, now, for Canada. The Conservative government has made the wrong decision here, not for the interest of the country but to appease the hard-line leadership of Israel which is eager to wage a war against Iran. Harper should understand that he should put the interest of Canadians first and foremost. Canada is not Israel and Israel is not Canada and that we are obliged to affirm our allegiance to the Queen and not to Mr. Netanyahu or anyone else. "I can only imagine the impact of this sort of behaviour and the hate crimes it can condition and cause," said Dabashi as indicated by English Aljazeera. The Hagop Kevorkian Professor of Iranian Studies and Comparative Literature at Columbia University said: "Anytime diplomatic relations are severed, drums of war are raised louder, corrupt politicians and radical fanatics thrive, the rule of reason and sanity fails, and ordinary people on both sides of the divide suffer most."